This is the Texas state capitol looking south. 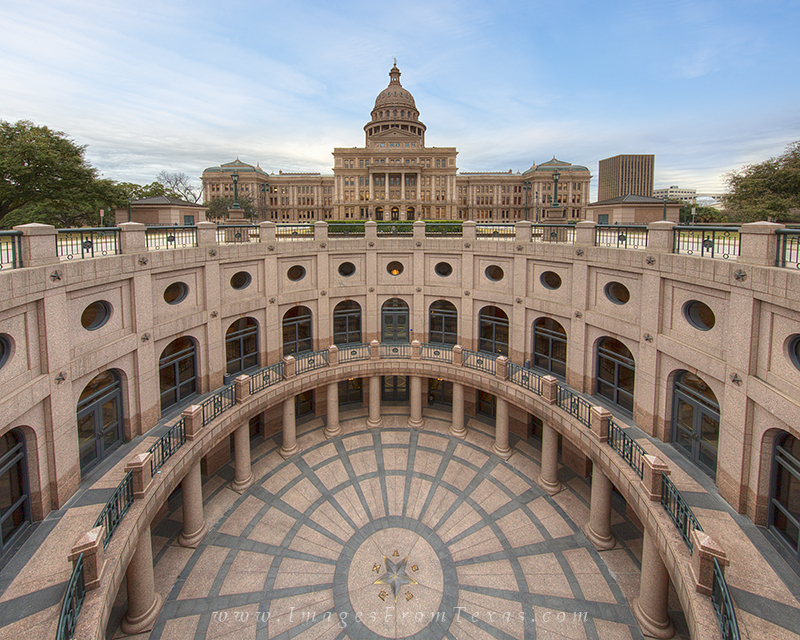 I used a super wide angle lens and shot this at 11mm to gain a view both of the Texas star and the dome under the breaking blue sky on an Austin March morning. Photo © copyright by Rob Greebon.